Will You Be Friends with Utada Hikaru? She Wants To Play Animal Crossing. 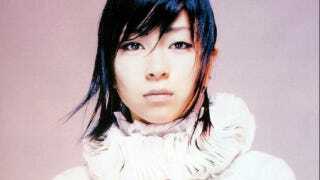 By day, Utada Hikaru is one of Japan's biggest popstars. By night, she is, too. But recently, she's been taking time off from her music career. In her downtime, she's probably focusing on her other career: Kickass Nintendo gamer. And the next game Utada has in her sights is Animal Crossing: Jump Out on the 3DS. "I don't have any friends to play it with, but I want the new Animal Crossing." She added that she wanted to pick up lots of items. Well, maybe you can befriend the songstress and help her collect things in AC or even decorate one of those much cooler looking houses? Eh, probably not!